Join us in supporting the efforts of the following organizations.  Like the WMC, they honor and continue to provide support for Wisconsin’s community of Veterans. From the fields of Europe to the islands of the South Pacific, “The Greatest Generation” helped to liberate millions from tyranny, and fundamentally changed the course of world history. The reflections of these Wisconsin Veterans are a humble reminder that the price of freedom was a cost they were willing to pay for all of us. DAV is the most long-lasting veterans advocacy and assistance group in the United States. Among its many roles, the DAV provides free, professional assistance to veterans and their families in obtaining benefits and services earned through military service and provided by the Department of Veterans Affairs (VA) and other agencies of government. One stop shop for all things related to veterans, veteran-related resources, and events. Located on Milwaukee’s historic Brady Street, Dry Hootch Milwaukee provides Veterans and their families with a stable, substance-free environment where they can gather, grow, and enhance their post-service life experience. Fisher House Wisconsin will provide a “home away from home” for military and veterans’ families to be close to a loved one during hospitalization for an illness, disease or injury at the Clement J. Zablocki VA Medical Center in Milwaukee. Groundbreaking set for June 2014. Official site for 2014 MacArthur Memorial Week, as well as a standing, multimedia educational resource covering MacArthur’s military career, civic life and historical ties to Milwaukee. There should not be a single homeless veteran in America. But in Milwaukee, one of every four homeless persons is a veteran, and 200 to 300 veterans are homeless on any given day. Over the course of a year, four times that many are homeless for a time. An additional 5,500 local veterans are classified as at risk of homelessness. This organization is committed to not leaving our wounded behind. The Milwaukee Veterans Stand Down is dedicated to providing homeless Veterans and their families a daylong respite from the streets and a real opportunity to put their lives back together. Stars and Stripes Honor Flight honors all veterans by flying WWII, Korean War and terminally ill veterans from other conflicts to Washington, D.C. to visit their memorials. The organization also actively promotes the educational aspects of its mission in schools and communities throughout the Badger State. The VA provides a wide range of benefits including, Disability, Education and Training, Vocational Rehabilitation and Employment, Home Loan Guaranty, Dependent and Survivor Benefits, Medical Treatment, Life Insurance and Burial Benefits. The Committee is dedicated to facilitating a most successful Commissioning for the USS FREEDOM in the City of Milwaukee, where the US Navy, the Ship’s crew and families, the community of the City of Milwaukee and Greater Southeastern WI, join together creating a memorable series of events to celebrate and commission USS FREEDOM. Learn more about debt settlement, debt consolidation and other programs designed to help you and your family manage your debt responsibly. Hosted by Honor Our Military, information on the Milwaukee’s Veteran Day Parade, including routes and maps can be found here. VCRT was formed in 2013 by community citizens and veterans committed to advancing issues and programs that further respect for and services to veterans. This website is one-stop shopping for all things of interest to local veterans. Managed by Jeff “Doc” Dentice who is well known for running the annual Christmas With The Vets show at the Zablocki VA for more than a quarter of a century. The mission of the USO of Wisconsin is enhancing the quality of life of military members and their families who reside in or transit Wisconsin. The WDVA’s mission is to work on behalf of Wisconsin’s veterans community — veterans, their families and their survivors — in recognition of their service and sacrifice to our state and nation.